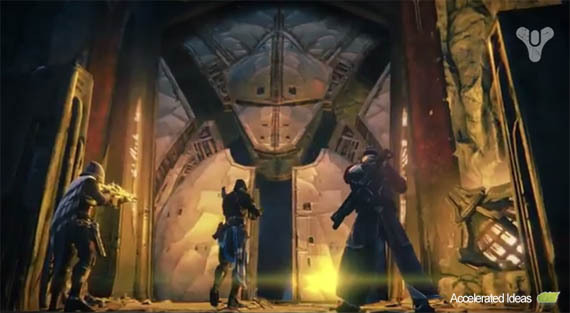 The long awaited game from Bungie called Destiny will make its appearance during Spring 2014 (confirmed in the first gameplay trailer). Anyone can apply for a Beta code and get access to the closed Beta several months before the official release. Destiny will be coming to PS3, PS4, Xbox One and Xbox 360 consoles (but not PC) and all of these platforms are legible for Beta participation. If you want to play Destiny as early as possible, you're going to need to ensure you've got a Beta key with your purchase. Bungie have confirmed that only a select number of retailers will be offering Beta keys, and the list does not include all of the major retailers (surprisingly). The Beta key is a 9-digit code which is provided on receipt or via email with your order. Note: Sainsbury's, ASDA and Game are NOT offering Beta codes! Amazon are coming out as the cheapest retailer (but only by a few pence). As always, Blockbuster are more expensive. 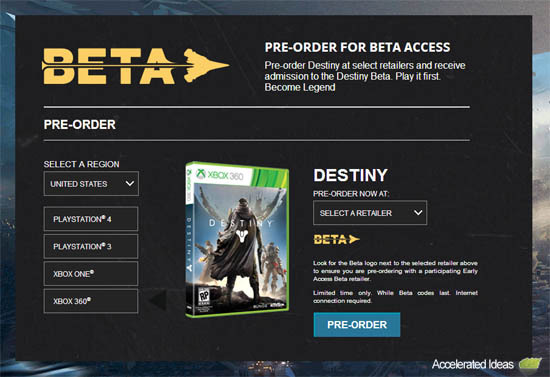 At a later date you will be contacted via email with a private download code for Destiny Beta. This private code will let you download the game on your selected console. When will the Beta start? 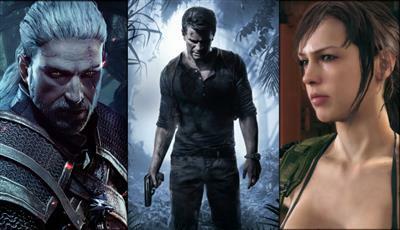 Currently unknown but the games official release date is set for Spring 2014. Typically Betas can start from around 4 months beforehand but some games wait until only 3-4 weeks before launch (example: Battlefield 4).